This is the calendar from January to June on the upcoming sessions of Hearing Preparation and Refugee Appeal Session. If your clients need interpretation they are welcome to bring a someone who can support them with interpretation. If your clients need interpretation they are welcome to bring someone with them. When is your hearing date? If you do not have a hearing date yet, please explain the reason. 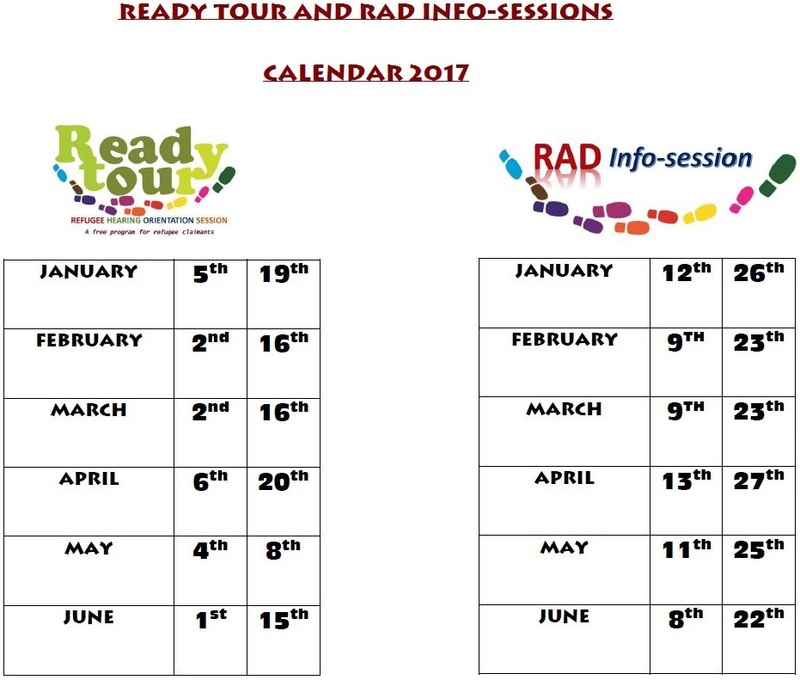 How did you learn about the Ready Tour?